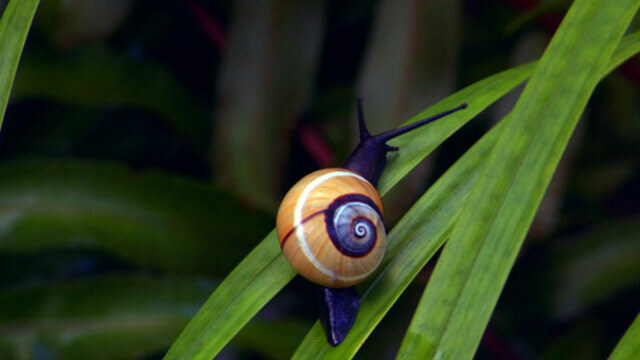 Cuba, an isolated paradise at the confluence of the Gulf of Mexico, Caribbean Sea, and Atlantic Ocean, provides a fertile laboratory in which biologists can observe and study unique creatures in unspoiled habitats. 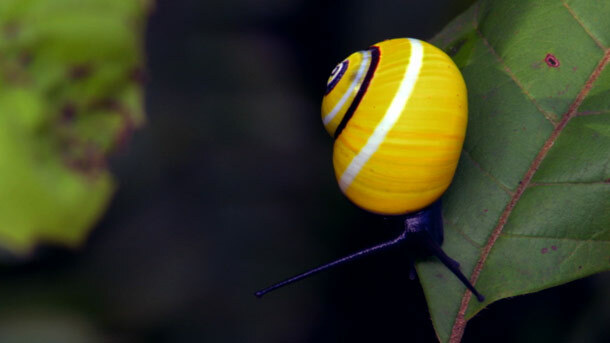 Cuba is known as the “Paradise of Snails.” The beautiful “painted snails” or land snails of Cuba, called Polymita, are a snail species that occupy large, brightly colored and highly sought after shells. 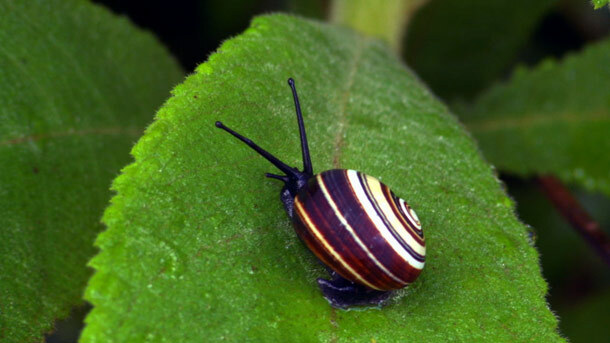 Polymita have a wide array of color varieties and markings. 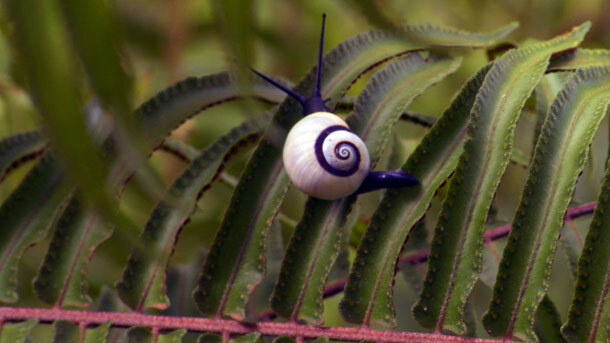 With eyes perched on long stalks, Polymita seek out water and lichen on the leaves of ferns and other plants. 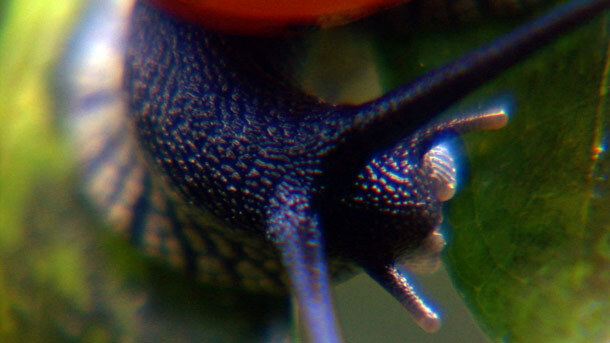 Polymita are hermaphrodites, both male and female, which means that anyone is a potential partner. This sexual characteristic has grown increasingly more important as populations are put at risk by poachers and growing tobacco farms. 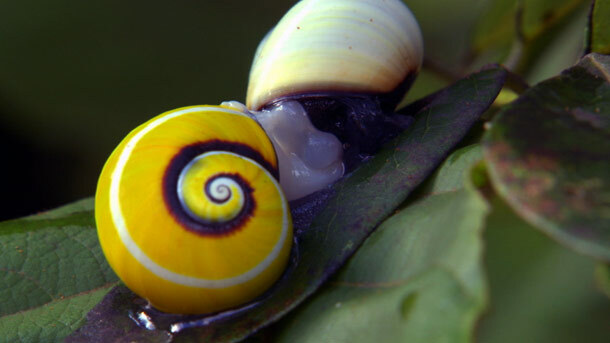 They use their brightly colored, swirled shells to attract potential mates. 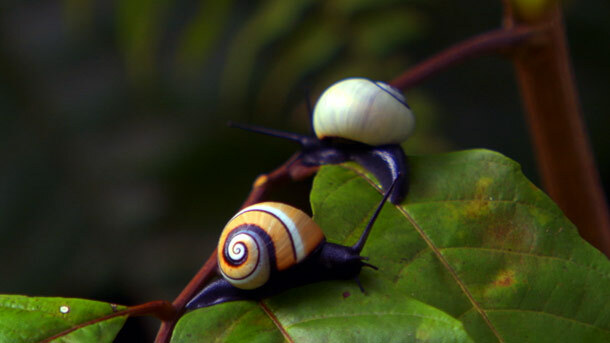 These two painted snails are engaging in a mating ritual, a mysterious dance which begins as the couple slowly circles one another. Polymita extend a piercing weapon, known as a “love dart” to puncture one another in the so-called "sensitive zone," until they successfully exchange sperm. After the mating ritual has concluded, they linger for a short while and slowly part, both going on to lay fertilized eggs. What once served as Polymita’s elegant armor now puts them in danger of their greatest threat yet. 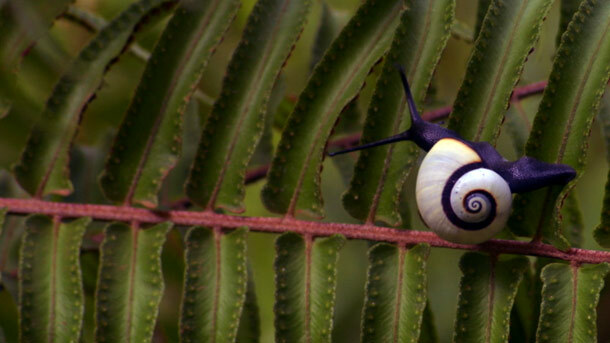 Poachers hunt them to sell as shell necklaces and trinkets, and the snails are now endangered. 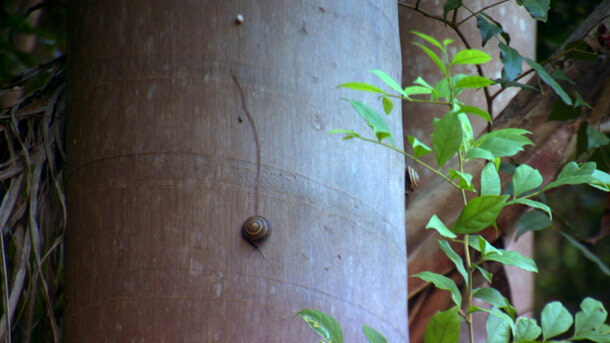 The red valleys of Viñales provide more than fertile soil; they also provide an evolutionary microcosm for the study of the painted snail. 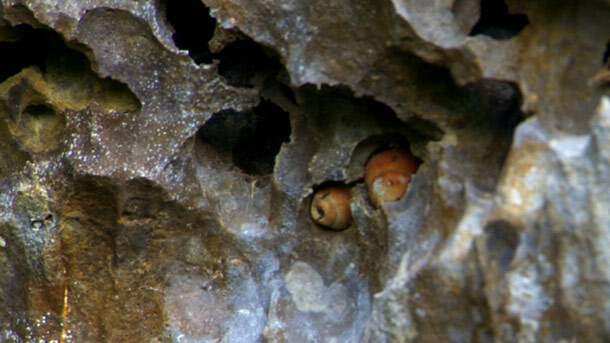 Erosion-carved limestone faces provide an environment, like the Galapagos, that allows snails to undergo evolutionary forces in isolation. The snails here never venture more than 60 feet from their home. 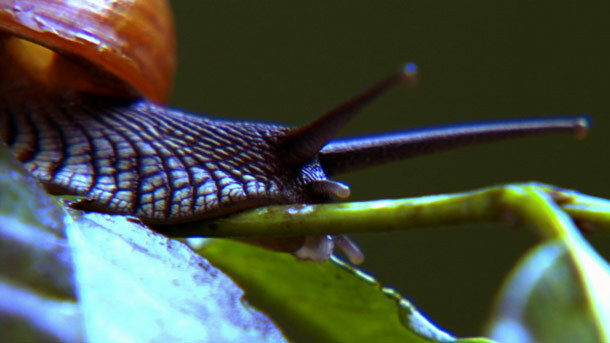 The shape, color, and behavior of these snails are therefore dictated by the land. 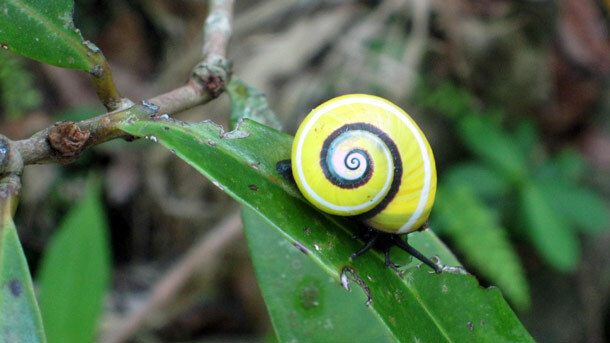 Each slope of the behemoth limestone karsts, called mogotes, has its own species and different variations of snails which all belong to the same species. 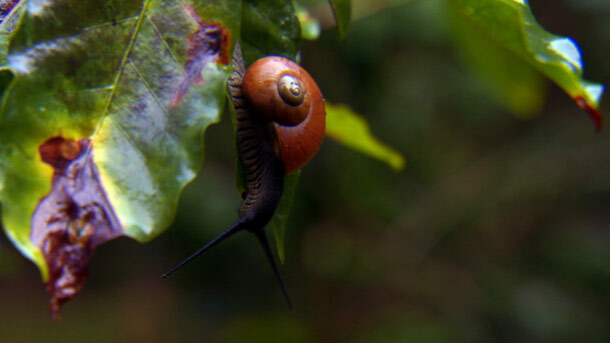 Depending on the slightly different environments, humidity, wind resistance, and available nutrition differ, which results in a relatively large diversity of forms in a very small area. 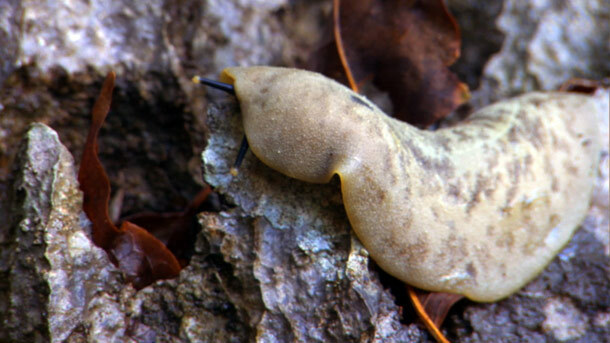 The bistec de mogote, or “pancake slug” is an example of evolutionary adaptation in Cuba. 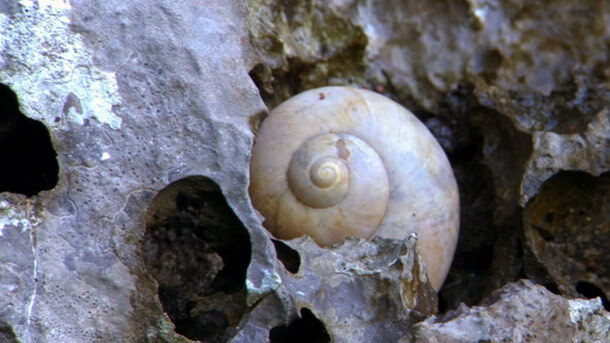 The snail traded its shell for a different defense: it’s perfectly camouflaged to disappear into the crevices of the limestone rock face. 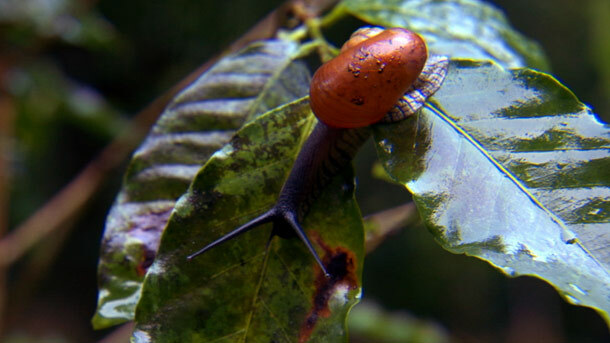 Still, they are losing habitat to expanding tobacco farms, and many are hunted for much-needed protein.